The Goal: Our client, DKMS, raises awareness about blood cancer to minorities. Minorities have a higher chance than caucasians of dieing due to blood cancer because fewer register to be bone marrow donors. 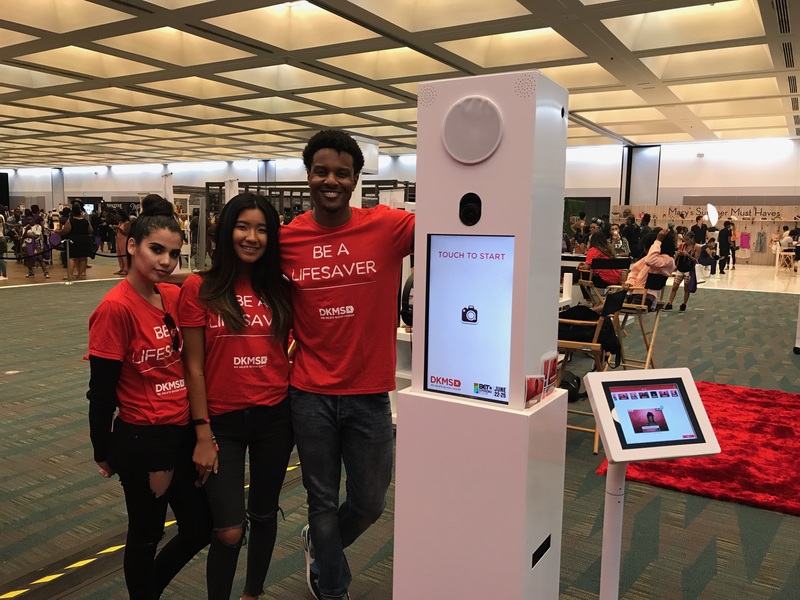 DKMS commissioned Maple Leaf to create a photo marketing experience at BET Live to generate awareness and impressions for their cause. The Execution: Collaborating with renowned advertising agency The Community, we created a choice of 2 print/gif overlays for guests, a hashtag print, custom photo booth and ipad screens, and a marketing video to play on the back of the photo booth (a unique feature of ours!). The client requested a diverse staff, so Maple Leaf held a casting for staff and hired hosts from a variety of backgrounds to connect with DKMS’ target demographic.